Alwaght – Turkey and Saudi Arabia are both influential powers in the region. The rise of the Justice and Development Party in Turkey nearly two decades ago weakened Ankara-Riyadh cooperation and now their ties are moving to critical levels. At times, the two regional actors tried to calm the tensions by an emphasis on the shared interests, including the pursuing the common goal of overthrowing the Syrian government and also curbing the deepening Iran-led Axis of Resistance’s influence in the region. The Turkish leader Recep Tayyip Erdogan’s visit to Riyadh in February 2015 and then King Salman’s visit to Turkey in 2016 indicated that the two leaders worked to mend the troubled ties and de-escalate further tensions. But these attempts appear to have failed to put down the fire under the ashes. A new incident appears to add fuel to fire. On October 2, Jamal Khashoggi, a prominent Saudi journalist and critic of Riyadh regime, disappeared after entering the Saudi consulate in Istanbul for a personal work. His disappearance, which possibly was followed by his killing at the consulate at the hand of the Saudi agents, raises questions about if the incident will cause a new crisis between the two. 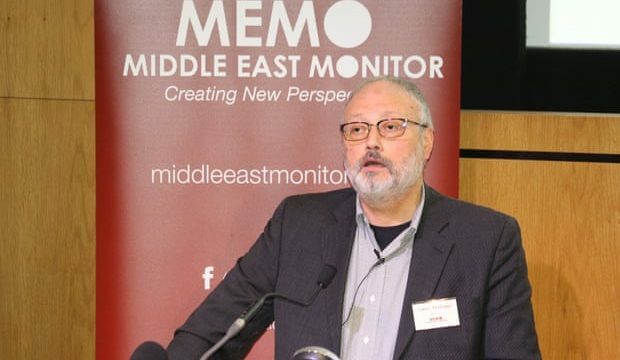 Some points on Khashoggi and other issues between the two countries can help answer the question. This stance can provide the Turkish government with a strong motivation to severely react to his disappearance. Over the past years of the Arab uprisings, an ideological rivalry brought face to face the two Salafi Islam sects, namely the Wahhabism and the Muslim Brotherhood, the first supported by Saudi Arabia and the second supported by Turkey and Qatar. The competition effectively impacted the course of regional developments and equations. The Saudi rulers are highly worried about MB toehold across the Arab world, and mainly in the Persian Gulf sheikhdoms, deeming it a threat to their decades-long dominance over the Arabian Peninsula. Saudis’ obsession with Brotherhood finally moved them to take tough measures against the Islamist movement. In 2014, Saudi Arabia blacklisted MB as a terrorist group, increasing the pressure on it at home and in the region. It also ran and bankrolled anti-MB regional projects, including backing the military coup in Egypt, which ousted MB-affiliated President Mohammad Morsi, and also imposing a blockade on Qatar. The moves against the group by Riyadh stood as roots to the Saudi-Turkish cleavages over the past years. So, pro-MB tendencies of the missing journalist appear to have a hand in Ankara’s special pursuit of Khashoggi case. The MB is banned in its cradle, Egypt, and is under strains in many Arab states, and the West does not advocate the group’s Islam version. Qatar, a staunch supporter of MB, is under an all-out sea, ground, and air blockade. So, the remaining supporter is Ankara which tries to send a message to the loyalists of the group telling them it can protect them, at least on its soil. Another factor that is expected to determine the way Ankara reacts to Khashoggi disappearance is the competition over the regional cases. The two are in a contest in Egypt over the coup against Morsi, Qatar siege, Saudi-backed pro-split projects in Syria and Iraq that pose direct threats to Turkey’s national security, Saudi-proposed Arab NATO project which aims to deter Ankara’s neo-Ottoman plans in the region, and the Palestinian cause. Saudi Arabia seems to take longer steps to spoil the Turkish interests in the region and pose danger to its national security. For instance, recently, the Saudis shored up their financial and military support to the Syrian Kurds, whom Turkey deems as a grave danger to its national security. Reports suggested that in May, three Saudi military advisors met with commanders at the Kurdish People’s Protection Units (YPG) at an American military camp in Kharab Ishq town near Kobani in the northern province of Aleppo. With this Saudi keenness to hit the Turkish interests, Ankara is expected not to miss the Khashoggi case-provided chance to put strains on the Saudis. The domestic, regional, and international public opinion are closely watching the situation and how Turkey will deal with the case. The Khashoggi case continues to make headlines on the world’s mass media as well as the social networks. This bears the reality about the significance of the case and the Turkish response to the undiplomatic Saudi measure on the Turkish soil. The anticipation is specifically big in the Turkish society which expects the government to firmly respond to Riyadh as Khashoggi abduction and possibly killing is a violation of the Turkish national sovereignty. So, Erdogan is expected to take steps once the investigation is completed and evidence of the Saudi regime involvement is presented. Despite the adequate grounds for Erdogan to give Saudi Arabia a rap on the knuckles, one thing in his foreign policy should be taken into account: He is a master of surprise U-turns in policy. The latest proof to this labeling is a Friday decision to release the American pastor whose imprisonment triggered an intense diplomatic rift between Washington and Ankara as the US called for his freeing but Erdogan insisted on keeping him behind the bars. Therefore, although Khashoggi case prepared a milieu for a Saudi-Turkish diplomatic crisis, tough stances by Erdogan can be followed by a quick backing down from the hard-boiled posture.